A member of the distinguished Melia brand, the Sol Beach House is an adult only luxury hotel that boasts spectacular sea views. An outdoor pool is set within the hotel gardens, accompanied by stunning sea views. 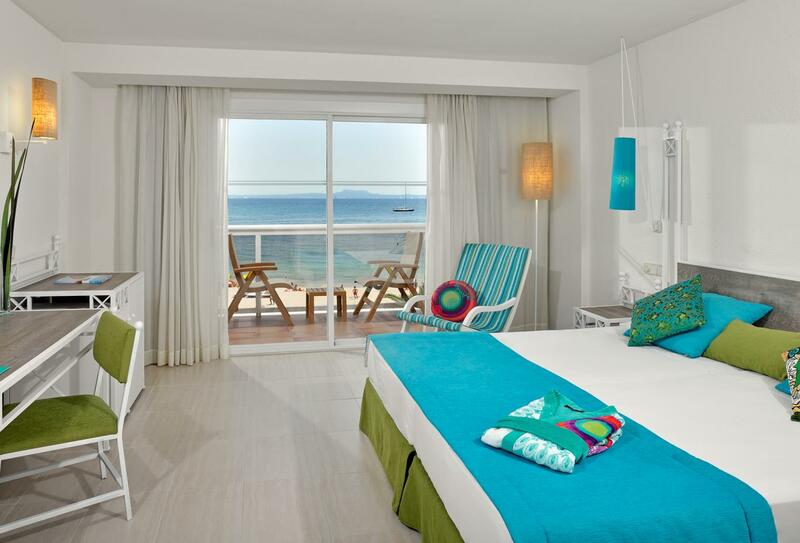 The comfortable, cosy rooms feature a private balcony, stunning sea views and modern touches. Dining is a mixture of international-come-Mediterranean specialities, with twists to keep the flavours interesting. Recently renovated with a fresh and modern Mediterranean style design, the Beach House Sea View Room has a terrace and front views of Palmanova Beach and Palma Bay. The Cala Blanca Restaurant serves an extensive buffet of salads, cold meats, cheeses, meats and fish. Lunch is an a la carte menu, while breakfast is on the terrace, overlooking the sea. Open for breakfast 07:30 – 10:30 and lunch and dinner 19:00 – 22:00. Serves a wide choice of premium drinks, cocktail menu and relax on the terrace, with the best live music. Open 18:00 – midnight. Next to the hotel swimming pool, the Sol Shack Beach Bar serves a variety of cold and hot dishes and cuisine tempered with international and Mediterranean influences. Open 11:00 – midnight. The Sol Beach House is nestled right next to Palmanova Beach, in the west of Majorca, surrounded by gardens and terraces, with stunning sea views all around. The hotel is around 25 minutes away from the Palma de Mallorca Airport.